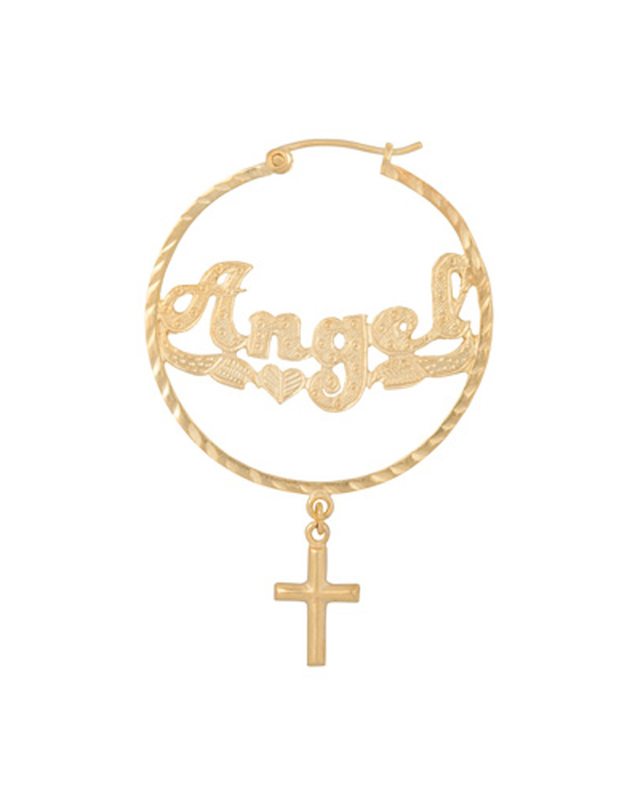 Angel Earring, 14 Krt gold plated on first grade silver. The Cross is the symbol of sacred fire and the sun. Vertical line represents the cosmos, the horizontal the earth.